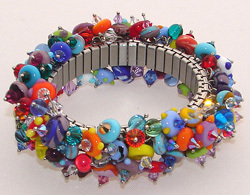 In these pages are Amy’s completed One-Of-Kind finished beaded jewelry pieces – Earrings, Bracelets, and Necklaces. 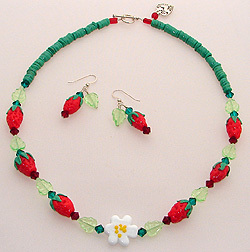 All finished pieces contain Handmade Glass, Swarovski crystals, Czech Glass Beads and/or the Earth’s Gems. Also silver and/or 14K gold filled findings. 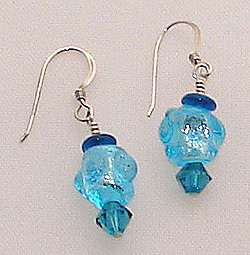 All Handmade Glass Beads are created by Amy Jean in her studios! Please Visit the Bracelet, Earring and Necklace Sections for Details. Below are Photo Examples of some of the Jewelry Pieces I have for sale!